A splendid illustrated survey of four centuries of gardening in America covers the subject, from pre-Columbian Indian designs to the private gardens of America’s suburban landscape. Introduction to California plant life. Artist/Author: Ornduff, Robert et al. California’s unique plants range in size from the stately Coast Redwoods to the minute belly plants of the southern deserts and in age from the four-thousand year-old Bristlecone Pines to ephemeral annuals whose life span can be counted in weeks. Available at last in a thoroughly updated and revised edition, this popular book is the only concise overview of the state’s remarkable flora, its plant communities, and the environmental factors that shape them. Also available in hardcover. Artist/Author: Stuart, John D. and John O. Sawyer. 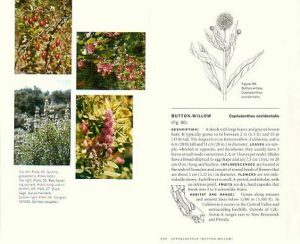 This is the first book to combine the trees and shrubs of California in one accessible field guide. Trees and Shrubs of California identifies and describes native California tree species and most common shrub species. The text is complemented by more than 200 beautiful line drawings, 300 range maps, and 40 color photographs. 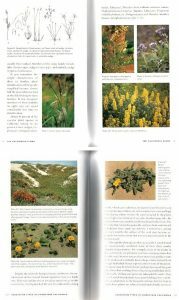 This user-friendly field guide minimizes technical terms and includes a checklist, making it an invaluable resource on California’s profuse vegetation. Also available in hardcover. 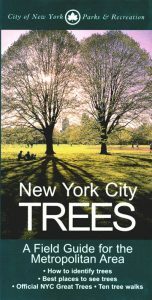 With a lively, authoritative text and over 900 colour photographs, line drawings, and detailed maps, this is the ultimate compact field guide to trees of the Big Apple and the surrounding area.